Former professional windsurfer, Janne Rauhansuu, searching for a new direction after a 15-year-long career, strikes business gold with a seemingly simple idea. Janne was staying in Switzerland for a ski trip, when he noticed that one of his friends was sporting a hat that struck interest with him. Upon asking his friend about the beanie, he found out that the piece was handmade by his friend’s grandmother, and was instantly inspired by that concept. Soon after, Janne decided to pick up his own pair of knitting needles, and started making his own hats – slowly but surely. After a few hats were completed, his friends were all asking for more and more to gift to friends and loved ones. Janne was quick to realize that his beanie business was growing at a faster rate than he anticipated. He moved back home to Finland in 2008 to take over his family’s farm in Poytya, where he met Anna, who ended up becoming his wife and business-partner. While living on his family’s farm, the couple began to strategize a business plan in order to distribute and produce more beanies on a larger scale. They started their business, naming it “Myssyfarmi”, with their first public appearance at the Helsinki Design Week. One year later, Janne’s family farm received their first flock of Finnsheep they had ordered. Since then, the handmade beanies have only been made with their family farm’s sheep wool. It was apparent that the couple could not knit by themselves for the increasing volume of orders that were coming in from all over Europe. Shortly after Janne’s wife, Anna, went on maternity leave, she and Janne were knitting non-stop, with much help needed. 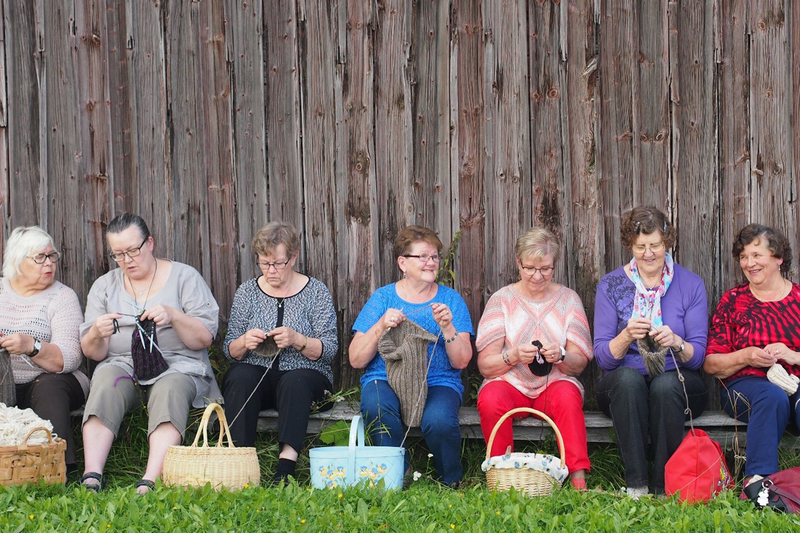 Not too long after, grandmothers from the region were knocking at their door, eager to help them out and get knitting. Be the first to comment on "Finnish Grannies Take on Worldwide Business"